*Award for the most boring OOTD goes to me*. 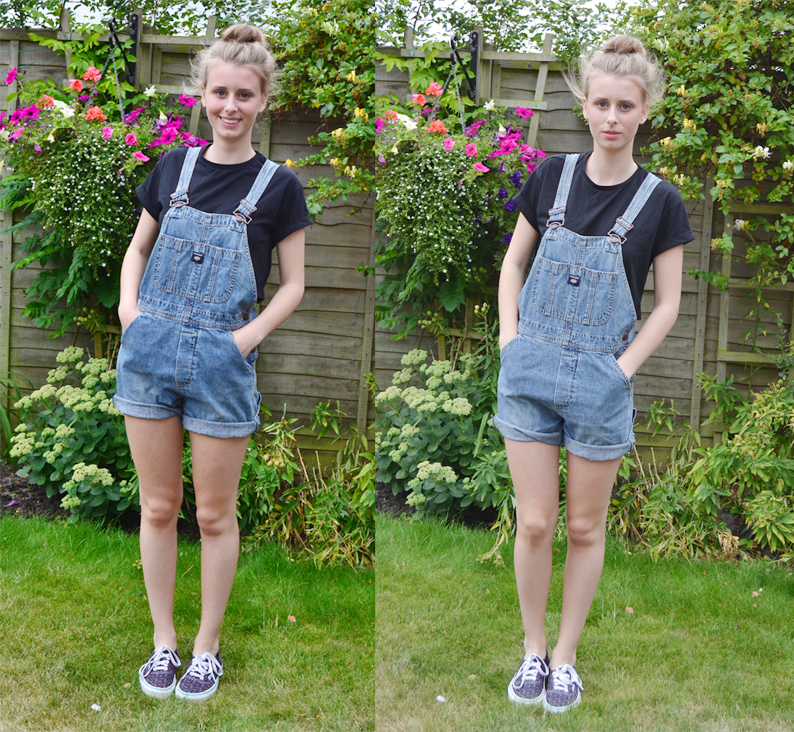 Yes, it’s bland but I really wanted to show you these vintage dungarees I got in Nottingham a while back. I cut the legs a bit shorter and rolled up the bottoms and finally got round to styling them. I actually wore them the day before this with a white tight crop top, and I much prefer that look but I was far too lazy to photograph it. 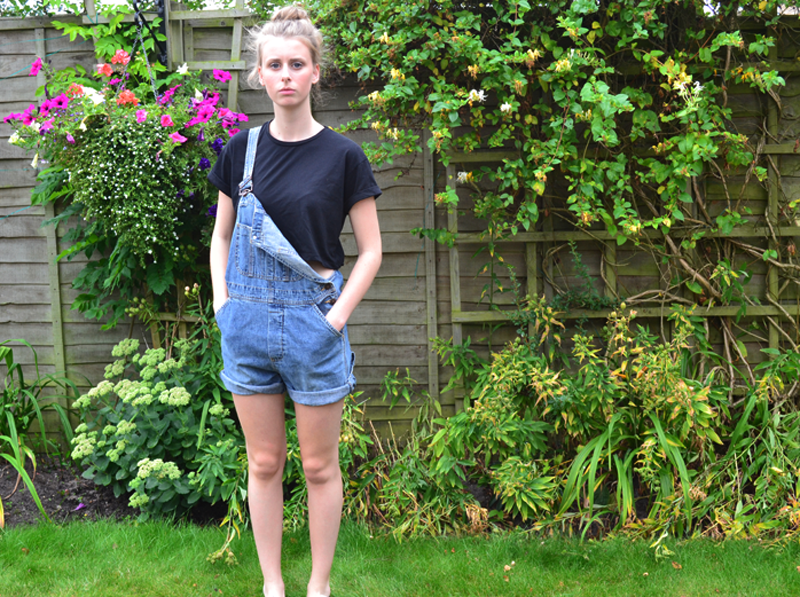 Anyway, I find dungarees to be the perfect outfit when you too lazy to try or if you’re doing something that could get messy. The day before I wore them crabbing and this day I wore them to tie dye some tees! Check out my instagram to see how they turned out. Anyway, tomorrow my mum, dad and I are off to Ikea to buy myself the Alex 9 Drawer! It’s pretty bad how excited I am about it – my room is miniscule so these drawers are defo needed. We’re also hopefully going to pop into Lakeside for a bit of shopping, and then we’ll be going out for tea!! One of my brothers will be at work and the other is currently partying out in Ibiza, so I can pretend I’m an only child for a day, haha! "Mini haul: Necessities, Beauty and a Bargain"